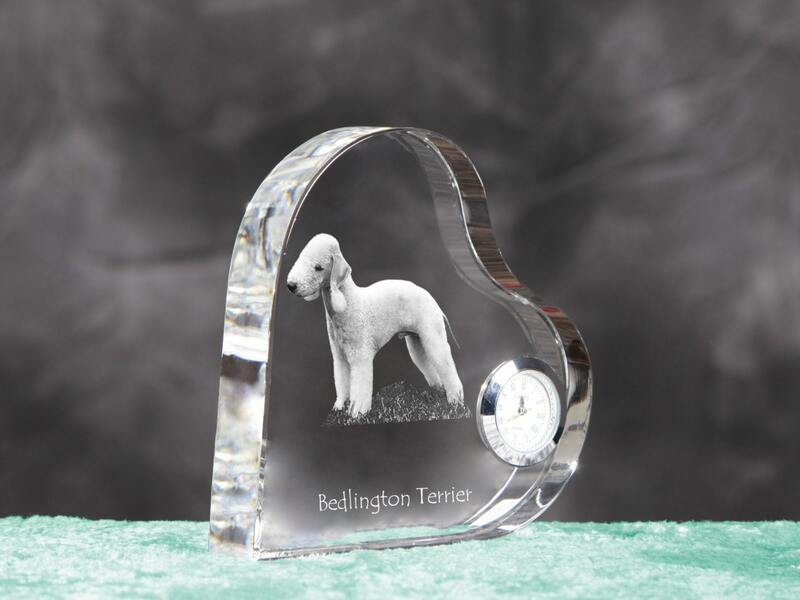 Bedlington Terrier- crystal clock in the shape of a heart with the image of a pure-bred dog. 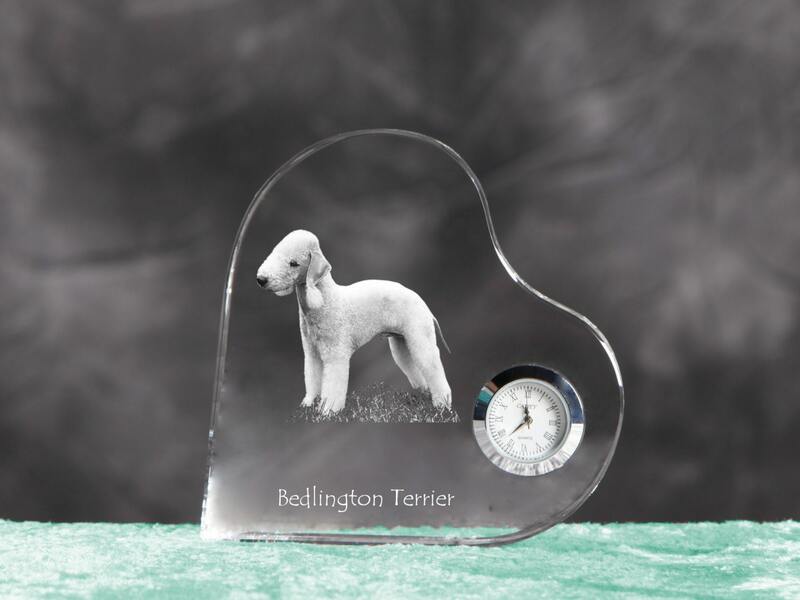 A collection of crystal clocks with the image of a dog. A perfect present for fans of dogs who care about the decor and interiors of their homes. The clock is made of robust optical glass, that’s why it’s strong and durable. 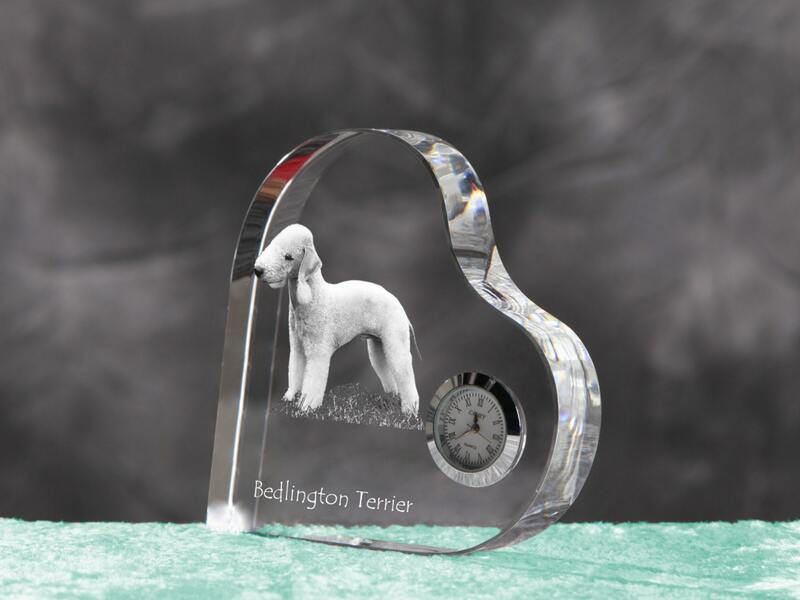 High-quality engraving made on professional laser, perfectly reflects the breed of a dog. The crystal can serve as a present for a beloved person, family or friends.